Styled with pippin shirt . This version of the Darontal Pant is made with a slick Japanese crepe you can wear all year round. Streamlined pleats create a polished, wear-anywhere sophistication. This is my 2nd pair. I really like the elastic waist. The pants is high waisted and the waistband is a little thick would have liked it a little thinner. Easy to wear/style in the morning and the waist band is so comfortable. The best dress pants ever. I own two pairs. PLEASE MAKE MORE COLORS!!! Great for all occasions and a great fit! I loved my pair of Darontals! Got them in black and they go so well with everything. The waist wasn't too tight and I found there was enough space in the leg, which is good as I find it's harder for me to find pants that fit me in the leg and waist as I have a smaller waist and larger thighs. Unfortunately, the bottom seam on the leg suddenly came undone so I had to return it. 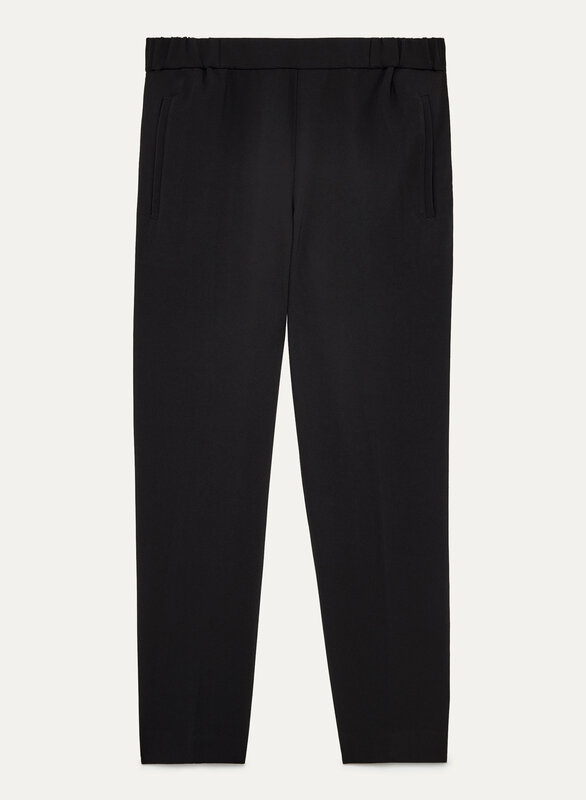 These pants are very versatile for work and casual. 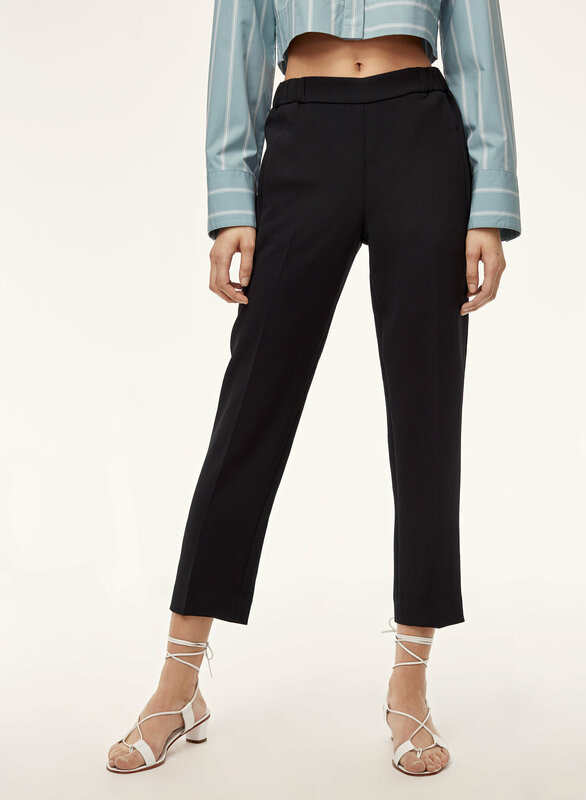 I wanted something similar to the Cohen pants (since I already own them) and these are a nice alternative. Both have an elastic waistband and mid rise. The difference is the darontal pants are more of a straight cut whereas Cohen has a slimming factor to it. Because of the straight cut, I had to go down one size as the thigh area was too loose. Also, darontal pants is slightly longer than the Cohen even though both are supposed be to ankle length..